Boil water or milk and salt (optional). Stir in oats. Cook about 5 minutes over medium heat; stir occasionally. 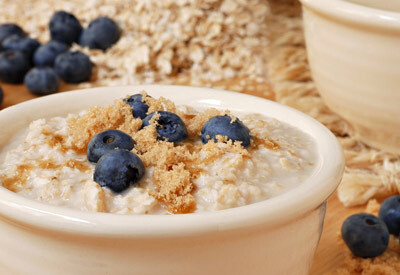 Combine water or milk, salt (optional) and oats in medium microwaveable bowl. Microwave on HIGH 2-1/2 to 3 minutes; stir before serving.